The enormous growth in the demand of bandwidth is pushing the utilization of fiber infrastructures to their limits. 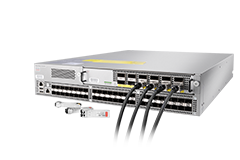 To fulfill this requirement, optical add-drop multiplexers were introduced in metro/access networks. Optical add-drop multiplexers are the simplest elements to introduce wavelength management capabilities by enabling the selective add and drop of optical channels. Since the OADM is based on low-loss, low-cost passive devices and does not need any power supply, a reliable, cost-effective and scalable network can be achieved with its help. 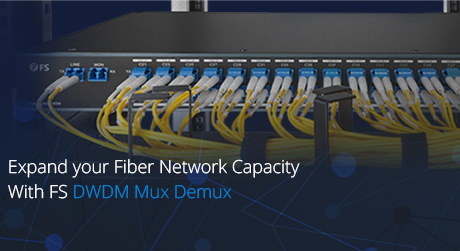 As a key component for DWDM and UW-WDM (ultra wide wavelength division multiplexing) optical networks, OADM is used for selectively dropping and inserting optical signals into a transparent DWDM network. We know that the main function of an optical multiplexer is to couple two or more wavelengths into the same fiber. If a demultiplexer is placed and properly aligned back-to-back with a multiplexer, it is clear that in the area between them, two individual wavelengths exist. This presents an opportunity for OADM in which individual wavelengths could be removed and also inserted. A traditional OADM consists of three parts: an optical demultiplexer, an optical multiplexer and between them a method of reconfiguring the paths between the optical demultiplexer, the optical multiplexer and a set of ports for adding and dropping signals. 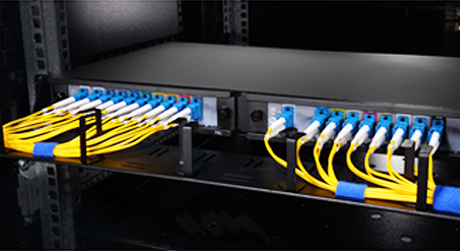 The multiplexer is used to couple two or more wavelengths into the same fiber. 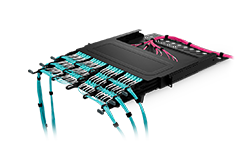 Then the reconfiguration can be achieved by a fiber patch panel or by optical switches which direct the wavelengths to the optical multiplexer or to drop ports. The demultiplexer undoes what the multiplexer has done. It separates a multiplicity of wavelengths in a fiber and directs them to many fibers. For an OADM, "Add" refers to the capability of the device to add one or more new wavelength channels to an existing multi-wavelength WDM signal while "drop" refers to drop or remove one or more channels, passing those signals to another network path. 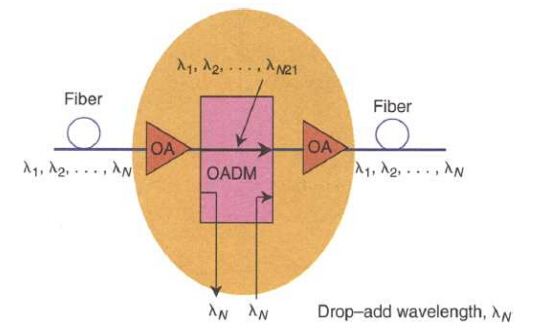 The OADM selectively removes (drops) a wavelength from a multiplicity of wavelengths in a fiber, and thus from traffic on the particular channel. It then adds in the same direction of data flow the same wavelength, but with different data content. The main function of OADM function is shown in the following picture. This function is especially used in WDM ring systems as well as in long-haul with drop-add features. 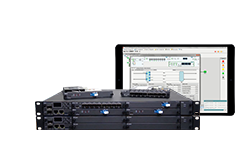 OADMs are classified as FOADM (Fixed Optical Add-Drop Multiplexer) and ROADM (Reconfigurable Optical Add-Drop Multiplexer). In fixed-wavelength OADM, the wavelength has been selected and remains the same until human intervention hanges it. In reconfigurable wavelength OADM, the wavelengths between the optical demultiplexer/multiplexer may be dynamically directed from the outputs of the demultiplexer to any of the inputs of the multiplexer. 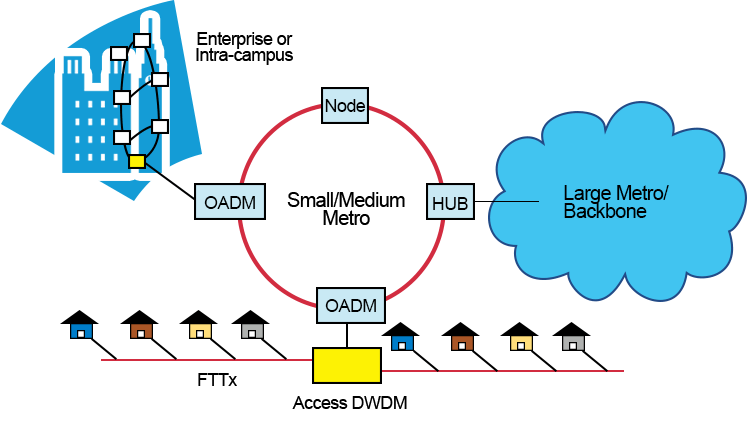 FOADMs were originally developed to improve the delivery of "express" traffic through networks, without requiring expensive OEO regeneration. FOADMs use fixed filters that add/drop a selected wavelength "band" and pass the rest of the wavelengths through the node. 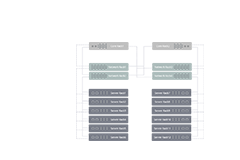 Static wavelength-filtering technology eliminates the cost and attenuation to demultiplex all DWDM signals in a signal path. The solution is called FOADM because the wavelength(s) added and dropped are fixed at the time of add/drop filter installation on the optical path through a node. No additional filters can be added without interrupting express wavelengths traveling through the node. 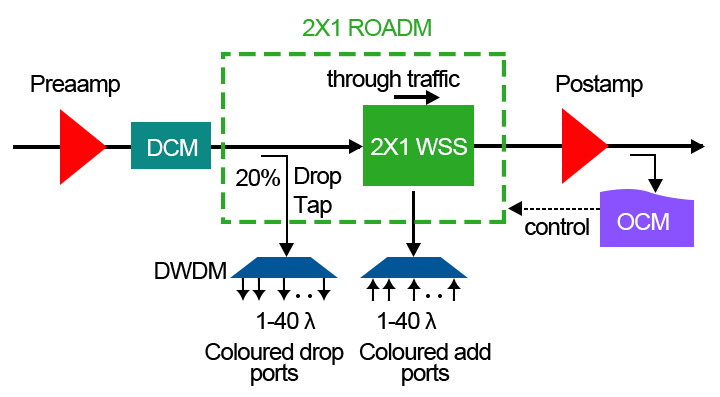 ROADMs were developed to provide flexibility in rerouting optical streams, bypassing faulty connections, allowing minimal service disruption and the ability to adapt or upgrade the optical network to different WDM technologies. It uses a Wavelength Selective Switch (WSS). The WSS has an 8-dimensional cross-connect and provides quick service start-up, remote cross-connect and WDM mesh networking. 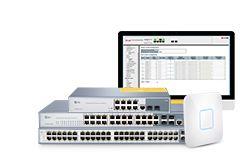 The ROADM scheme also allows inputting or outputting a single wavelength or wavelength group via the fixed port. In ROADM systems, we don’t need to convert the optical signals to electrical signals and route those signals by using conventional electronic switches then convert back again to optical signals just like FOADM does. 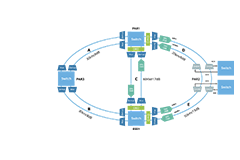 ROADM can configure as required without affecting traffic. The basic configurations of an OADM includes using dielectric thinfilm filter (TFF) and fiber Bragg grating (FBG). In the case of configurating OADM with TFF, an arbitrary signal wavelength is branched/dropped from wavelength-multiplexed signals via a narrow band-pass filter (BPF), whereby only the desired signal wavelength being transmitted while others reflected. Meanwhile, an arbitrary signal wavelength can be inserted/added into wavelength-multiplexed signals via a narrow BPF, whereby the desired signal wavelength being transmitted is combined with the reflected signal wavelengths. In the case of configurating OADM with FBG, the wavelength-multiplexed signals enter an FBG through a circulator, where only one arbitrary signal wavelength is reflected while others are transmitted. The reflected signal wavelength is branched/dropped into a port other than that where the wavelength-multiplexed signals enter. In the case of wavelength multiplexing an arbitrary signal wavelength, the signal wavelength incident on the circulator is reflected by the FBG, and is inserted/added into the wavelength-multiplexed signals that are transmitted via the circulator. In conventional long-haul transmission systems, emphasis has been placed on how much capacity and how far the system can transmit. In metro/access networks, however, low cost and system flexibility are strongly required. OADM has a business in the middle of choice. Of course, the main battlefield of application is MAN (metropolitan area network). 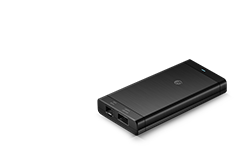 That can be working flexibility, easy to upgrade and amplify the network. As an ideal multi-services transport platform in MAN application, OADM allows different optical network of different wavelength multiplexing signal at different locations. Another application for OADM is in Optical Cross Connection (OXC). 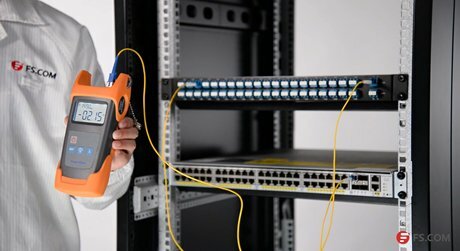 Propsed equipment allow different network connect dynamic. On-demand wavelength resources, a wider range of network interconnection. 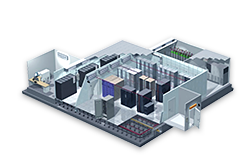 OADM and OXC only need to download the information in the nodes to send a person to handle the equipment, including ATM switchboard, SDH switchboard, IP router etc., which greatly improve the efficiency of the node to process information. To reduce the cost of large capacity transmission, whereas conventionally most signal processing has been done after optical-to-electrical conversion, it is required to process signals in optical form. Optical add-drop multiplexer is one of the key devices to implement such optical signal processing. Use of OADM makes it possible to freely add or drop signals with arbitrary wavelengths over multiplexed optical signals by assigning a wavelength to each destination. Moreover, it is possible to simplify the component configuration of optical amplifiers through reduction of the optical attenuation for the express channels --optical channels neither add nor drop at nodes-- in OADMs, thereby decreasing the total cost of networks. OADM is still evolving, and although these components are relatively small, in the future, integration will play a key role in producing compact, monolithic, and cost-effective devices.